The book contains three sections: ‘The Rebirth of Rapunzel,’ which is a scholarly exploration of the Rapunzel tale, and includes an extensive bibliography of retellings; ‘Persinette,’ a reprint of a 1989 translation by Jack Zipes of de la Force’s 1697 Rapunzel text; and ‘Books Are Dangerous,’ a series of short essays on genre by Forsyth, several of which have previously appeared elsewhere. The ‘Rebirth’ section makes up the bulk of the volume, consisting of six chapters of analysis of the Rapunzel tale. Its academic prose is very readable but a little ungainly and repetitive: Forsyth explains more than once Stephen Knight’s concept of mythic biography and similar scholarly ideas in a way that isn’t necessary. She also returns more than once to how she utilized various motifs in writing her own novel that I think will be revelatory to those who have read Bitter Greens; I have not but now I want to pick it up, actually. Forsyth also describes how she first read the Rapunzel tale as a child in hospital. Through both accidents and illnesses she spent a number of her early years sick and in isolation, and so internalized something of the idea of the lonely girl in a tower. Later on one of her tear ducts was infected such that eventually she was given an artificial glass duct, a surgery that was not only life-saving but connected her even more intimately to the Rapunzel tale’s theme of the ‘healing tears.’ While a number of scholarly treatises on fairy tales have emphasized psychoanalytic readings to show how readers have absorbed and responded to these stories, the way Forsyth writes about them so frankly and honestly lends itself not just to a case study but almost as a literal embodiment of how we interact with story. Jack Zipes’ translation of ‘Persinette’ in the second section of the book is drawn from his 1989 book Beauty and the Beast and Other Classic French Fairy Tales. Zipes is one of the pioneering academics who started closely reconsidering the fairy tale as a literary form in the twentieth century; his studies include Breaking the Magic Spell: Radical Theories of Folk and Fairy Tales (1979), Fairy Tales and the Art of Subversion: The Classical Genre for Children and the Process of Civilization (1985), Happily Ever After: Fairy Tales, Children and the Culture Industry (1997), and The Irresistible Fairy Tale: The Cultural and Social History of a Genre (2012), among many others. 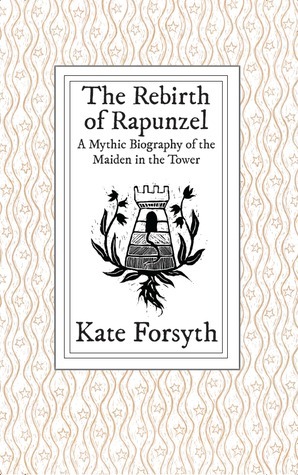 As Forsyth explains in the ‘Rebirth’ section, Charlotte-Rose de la Force’s version of the story was the first to include all the tropes of what we would consider to be the Rapunzel tale: the parents exchanging the unborn child to a fairy/witch for a plant the mother craves (rampion, better known as parsley but also called Rapunzel), the girl alone in the tower, the hair ladder and the prince, the lovers’ separation and their reunion with the happy tears that heal the blinded prince. The final section of the book consists of several short essays by Forsyth, all of them reprints of material written between 2006 and 2013. ‘The Birth of Fantasy,’ traces the history of fantasy as a genre back to Andrew Lang, connecting him to J.R.R. Tolkien and C.S. Lewis, and then concluding with a short discussion of George R.R. Martin. It is a short and thoughtful piece, but I think it misses something in only discussing popular male authors; for instance, despite the popularity of Lang’s Fairy books, he was only their editor and not their author, for the bulk of the stories were written by his wife, Leonora Blanche Alleyne Lang. This particular point is not one that is well-known outside of fairy tale studies, but given that there is a connection between both fairy tales and fantasy as being genres that are largely written and read by women with only certain males valorized in the canon, I find this familiar erasure disappointing, especially given Forsyth’s own focus on de la Force. In contrast, ‘The Birth of Science Fiction’ focuses on Mary Shelley as the founding mother of SF, describing the familiar backstory of Mary and Percy’s vacation with Byron in Polidori and their challenge to each write ghost stories, which concluded for Mary with the writing and later publication of Frankenstein in 1818. ‘The Glass Slipper: A Classic Rediscovered’ is a more biographical piece describing Forsyth’s reading of Eleanor Farjeon’s The Glass Slipper as a child, and her search for and final rediscovery of the book as an adult. ‘Stories as Salvation’ is an earlier version of the first essay in the ‘Rebirth’ section, recounting Forsyth’s childhood illnesses and her discovery of Rapunzel. ‘Fuddling Up My Mucking Words Again’ is another biographical essay chronicling Forsyth’s struggles with stuttering, describing the neurological disorder that causes it and (too) briefly digressing to other well-known authors who were also afflicted, including Lewis Carroll and W. Somerset Maugham. ‘Books Are Dangerous’ describes Forsyth’s adventures in reading as both a child and adult; in a way this is most familiar of the essays because so many of us can clearly recall and empathize with those special books that totally take us out of ourselves. The final essay is ‘Rapunzel in the Antipodes,’ which returns to describing various transformations of the tale. The book concludes with a poem, ‘In the Tower,’ spoken by Rapunzel herself. Ultimately, The Rebirth of Rapunzel: A Mythic Biography of the Maiden in the Tower is a fascinating and readable collection, and if the material at times overlaps and repeats, the originality of the vast remainder is utterly absorbing. I highly recommend it for anyone interested in fairy tales, genre, or honestly, just writing.